It's been a busy few weeks for me ... and I finally have some down time to look forward to. I'm off work this week coming ... along with Olly and the we'ans ... and am hoping to take things easy. BBC 6Music are doing their best to help me chill with five very special live sessions to look forward to. 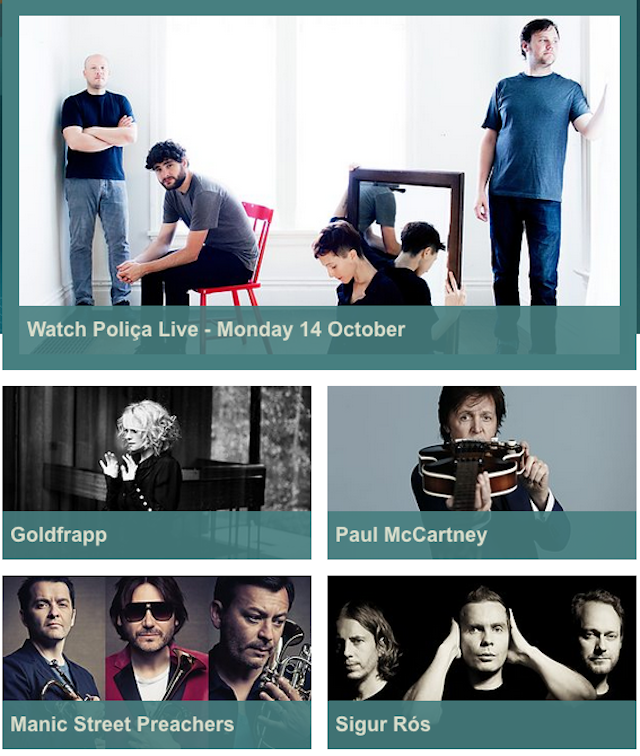 From Poliça on Monday to the mighty Sigur Rós on Friday ... my DAB radio (and iPhone) will be locked on 6 between the hours of 10 and 1. According to the 6Music Live website ... you can WATCH the gigs via the 6 Music website ... or via the BBC Red Button from any BBC television channel.